Solignano, 2 October 2017 – At Cersaie 2017, Ariana has welcomed visitors to a completely redesigned stand with a distinctive personality. Combining a warm welcome with an element of surprise, the exhibit offers a fascinating journey through a modern village of birch wood huts, a place where visitors can relax while discovering ideas and new materials that lend themselves to use in novel combinations in keeping with the latest trends. The Essential and Horizon collections, first unveiled at Coverings 2017, are part of this material journey and recreate respectively the warmth of natural wood and the timeless elegance of travertine. 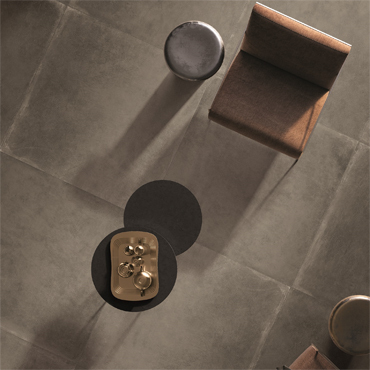 Mineral is the new collection from Ariana that rediscovers stone as a living, versatile material. 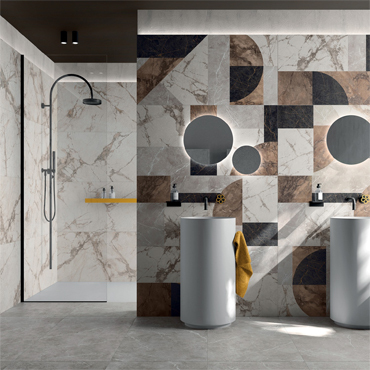 Slates in particular are the main source of graphic inspiration behind the collection, which has a fascinating sedimentary look masterfully reproduced by 3D digital technology simulating the natural unevenness of stone on the smooth surface of ceramic. 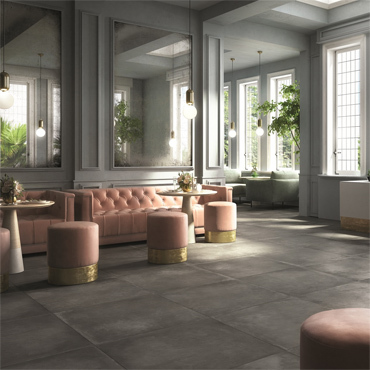 Adding a touch of novelty to Ariana's range of materials, the Worn collection is inspired by the old leather of Chesterfield sofas in a palette of colours ranging from distinctive leather shades through to the industrial-look surface of concrete. The plastic qualities of plaster coupled with the creative force of the new trend colours are the characteristics that inspired ENERGY, the other collection unveiled at Cersaie. 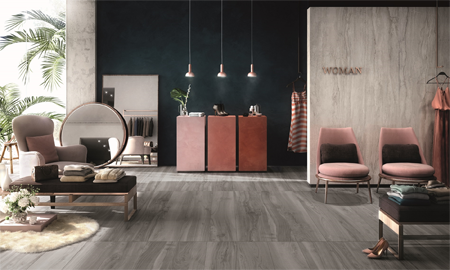 It consists of W&P, the exclusive material that combines the advantages and strength of porcelain with the low weight and ease of installation of monoporosa.